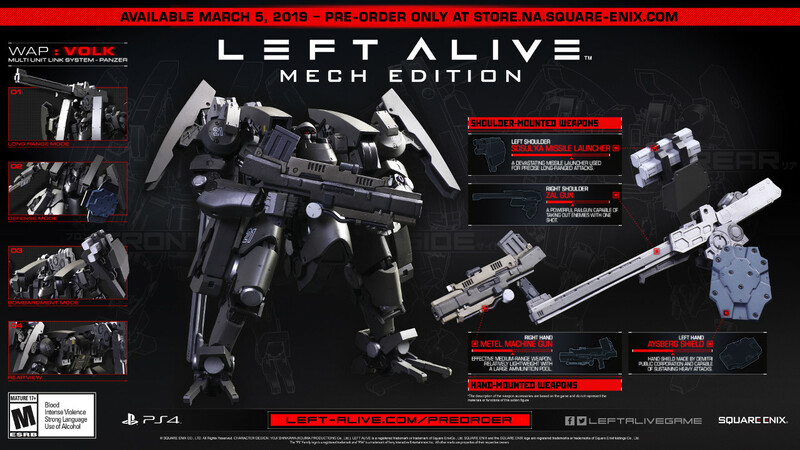 SQUARE ENIX has announced that LEFT ALIVE, a spin-off of the Front Mission series, will release on March 5, 2019 for PlayStation 4 and PC via Steam. 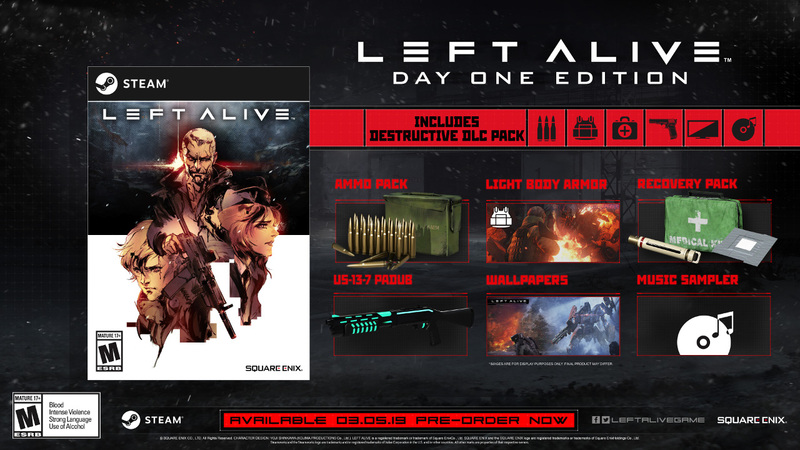 The game takes place in the Front Mission universe and is told from the perspective of three different characters as they try to escape from a war-torn city. 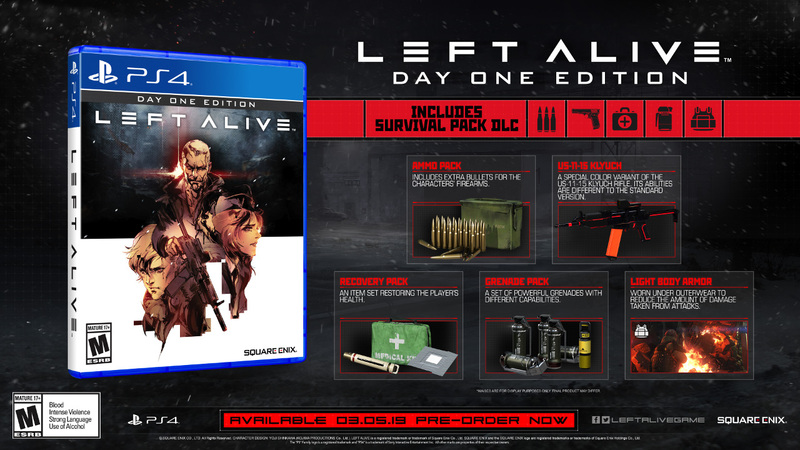 You can pre-order the game digitally from the PlayStation Store and STEAM store. You can check out two new trailers for the game below. 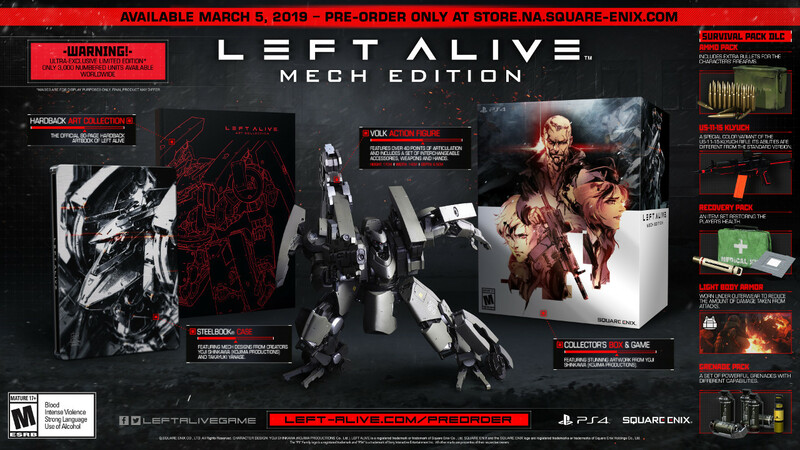 LEFT ALIVE is set to release on March 5, 2019 in North America for PlayStation 4 and PC via Steam.